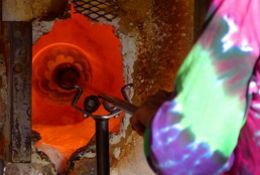 The National 8M bench torch used with natural gas, propane, hydrogen, & oxygen offers versatility for anyone in glass working from bead making to quartz glass. Aswivel ball mounting on a stable, cast stell U-shaped base come standard with the National 8M Torch. Simple interchangeable tips allow you to apply both surface mix & pre-mix applications with the National 8M Torch. For each of the SM-5, SM-7, SM-11, & SM-21 National 8M Torch models, simply twist any of the surface mix tips on and off. No wrenches needed for these easily interchangeable tips! 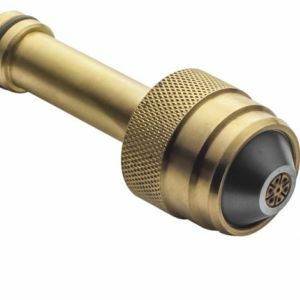 The PA-1 Adapter makes operation easy so you can get the most use out of the National 8M bench torch’s natural gas or propane & oxygen tips. SM5: The SM5 Surface Mix Tip for the National 8M Bench Torch (#1361) allows you to work on detailed projects with its small, concentrated flame. The .24 diameter pattern of six fuel slots and 7 oxygen holes make it the perfect complement to your National 8M Bench Torch. 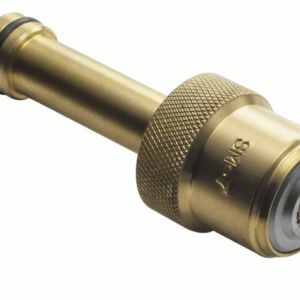 SM7: The SM7 Surface Mix Tip, compatible with the National 8m Torch (#1361) provides a medium flame via its .32 diameter patter of six fuel slots and 19 oxygen holes. This tip is a perfect companion to the National 8m Torch and will fit any glassworking project. 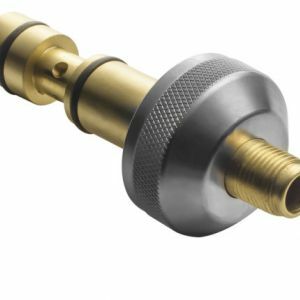 SM11: The SM11 Surface Mix Tip attaches to the National 8m Torch (#1361) and provides a flame size larger than the SM-7 but more refined than the SM-21. Compatible with the National 8m Torch and easy to attach/detach, the SM11 provides a perfect sized flame every time. SM21: For larger jobs with the National 8m Torch, the SM 21 Surface Mix Tip will do the job. The SM21 produces the larges of the flames with its .63 diameter patter of 8 fuel slots and 45 oxygen holes. Put your Nation 8m Torch to work on heavy duty jobs with the SM 21. 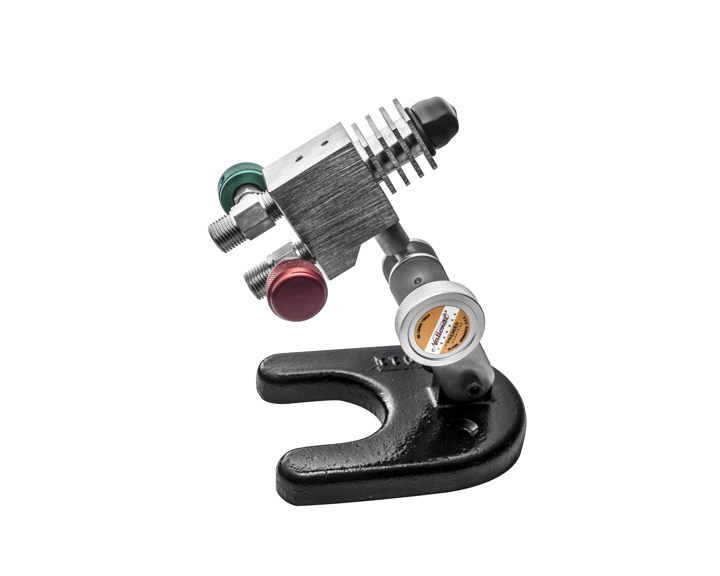 PA-1: The PA-1 Adapter fits your National 8M Torch (#1361), as well as the 5S and 7S models. 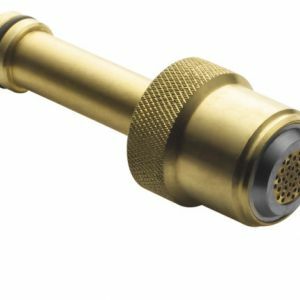 The 7/16-24 Male x 3/4-16 Female adapter allows you to use the standard pre-mix fuel and oxygen tips with your National 8M Torch. SM5 Surface Mix Tip (Fits #1361- 8M Torch) produces a small concentrated flame for detail work. It has a .24 dia. pattern of 6 fuel slots and 7 oxygen holes. SM7 Surface Mix Tip (Fits #1361-8M Torch) provides a medium flame, useful for a multitude of glassworking tasks. It has a .32 dia. pattern of 6 fuel slots and 19 oxygen holes. SM11 Surface Mix Tip (Fits #1361 - 8M Torch)our newest surface mix tip. It fills the gap between the SM-7 & the SM-21 surface mix tips. SM21 Surface Mix Tip (Fits #1361 - 8M Torch) produces the largest flame of the surface mix tips. It has a .63 dia. pattern of 8 fuel slots and 45 oxygen holes. 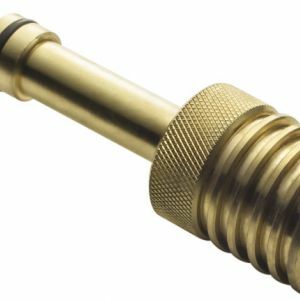 The PA-1 Adapter (Fits #1361 - 8M Torch) 7/16-24 Male X 3/4-16 Female is designed for the 5S, 7S and 8M torches to allow the use of standard pre-mix fuel & oxygen tips.